It’s not Barack Obama – that’s so 2008. If you are concerned about global climate, global environment, or a liveable future for your children, you are the anti Christ. So says a fossil funded “Christian” group, the Cornwall Alliance. The existence of this group points out how fossil fueled PR firms have done due diligence in psychological profiling of potential targets for disinformation, and found a target rich environment in the wackjob fundamentalist community. You can see Calvin Beisner below, quoting Genesis to prove that climate change can’t be real. Then see, at about 1:40, as Beisner tiptoes the tightrope to explain how young earth creationists can fit an 18 thousand year timeline into their “paradigm”. You can listen to Beisner’s entire Cornwall pitch, here. Now watch as Rep. John Shimkus reads exactly the same Bible verses, Genesis 8, 21-22, as part of a climate denial rant in committee session. Shimkus is a candidate to become the chairman of the Science and Technology Committee. antichrist dot com is not available. 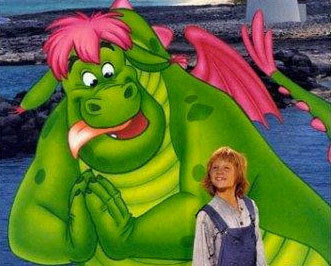 I like the green dragon name. We should adopt it and flaunt it, giving it a good name. As climate change becomes more evident to everyone, and it is getting harder to deny rather quickly, we have to focus more on making it clear that it is human caused. The case for the human cause of climate change is more abstract, and thus harder for people to understand, than the simpler case that the climate is merely changing. “After all, the climate is always changing”, as more deniers are starting to say. And after it becomes more evident that we are a significant cause of climate change, then we have to make it clear how destructive it is becoming, how irreversible the destruction is, and how much it is our responsibility to try to avoid it and correct the problems. And ANYONE getting in the way of this process of exposing the truth to the world and correcting our problems is, in fact, part of the problem, part of the real evil in the world, the real anti-christ that they fear so much. But Green Dragon is pretty cool. We can strike fear in the hearts of evil doers. I’m somewhat temped to write a post on the Oct 15th video above… but honestly, what’s the point? Only a few truly delusional people could honestly believe their rubbish. I like the comparison: Human health is better therefore the environment must be better. I guess this drongo isn’t up to date with fish stocks and degrading ecological services. Put another shrimp on the drongo, mate. Careful there – we don’t actually say “shrimp” down here, it’s “prawn”. I’ll leave Monckton to hurl around the shrimps.